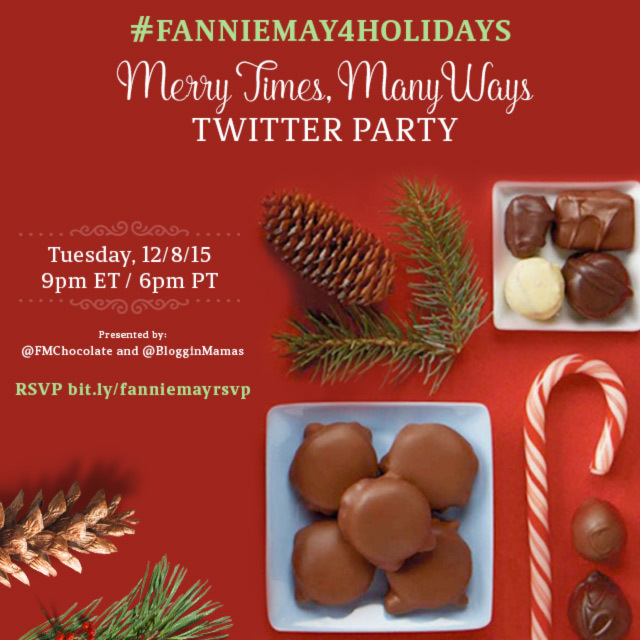 During World War II, while other companies chose to change their recipes when ingredients were scarce, Fannie May stuck with its exact recipes, making only what it could which often meant closing shops early because no more candy was available – never was the taste of the candy compromised. Festive Gourmet Gift Basket ($99.99) – Our festive gourmet gift basket is sure to impress your mother, the in-laws or even your bestie! Featuring festive silver and gold accents, this basket includes portions just right for sharing – and many of our Fannie May favorites! 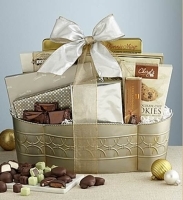 Each basket contains: Milk Chocolate Pixies, Mint Meltaways, The Popcorn Factory Kettle Corn, Milk Chocolate Vanilla Buttercreams, Carpano’s Dipping Pretzels, Cheryl’s Chocolate Chip Cookies, Harry London Chocolate Squares, and Harry London Caramel Bars. 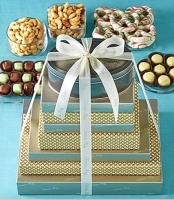 Winter Wonderland Gift Basket ($59.99) – This festive gift is perfect for the hostess with the mostess! 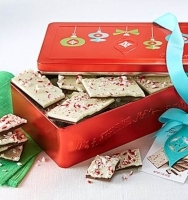 Featuring festive silver and gold ornaments, our container is filled with seasonal treats. 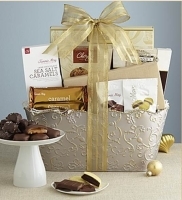 This delectable gift basket includes: Milk Chocolate Pixies, The Popcorn Factory Kettle Corn, Dark Chocolate Sea Salt Caramels, Carpano’s Dipping Pretzels, Cheryl’s Chocolate Chip Cookies, Fannie May Caramel Bars, One large Pixie and Trinidad. Heritage Tins, 8oz each – set of four ($59.96) – In commemoration of the brand’s 95th anniversary, Fannie May has launched a limited collection of archival revival confections tins. An ode to the brand’s beginnings, the tins feature classic brand artwork with a colorful and modern twist. 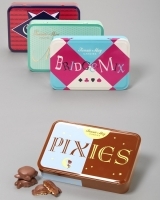 The collection includes revived and vibrant designs of iconic flavors including Pixies, Mint Meltaways, Bridge Mix and Colonials. Pixies Water Tower Tin, 1lb 8oz. 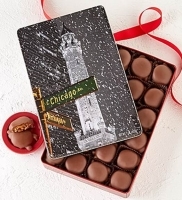 ($39.99) – In a nod to our beloved Chicago hometown we’ve created this iconic Water Tower Tin filled with our luscious Pixies. This keepsake is something friends and family will treasure even after the Pixies are gone. One (1) Prize, includ­ing Heritage Tins, 8oz each – set of four. Total approx­i­mate retail value (“ARV”) $59.96, for one (1) winner.